Sister Quilter has worked extensively in Texas over the last six years, supporting programs and teaching at ARISE (A Resource in Serving Equality), a community-based program in South Texas that works with immigrant families to strengthen their communities, as well as facilitating a long-distance learning program between Mexican American Catholic College (MACC) and ARISE. Today, she resides on the ARISE support center campus in Alamo, Texas, working to share the voices of immigrants. It is there, she affirms, that she is taught by the many immigrant leaders in the area. As we continue our Lenten journey, let us listen to and ponder Sister Quilter’s reflection on answering God’s call. 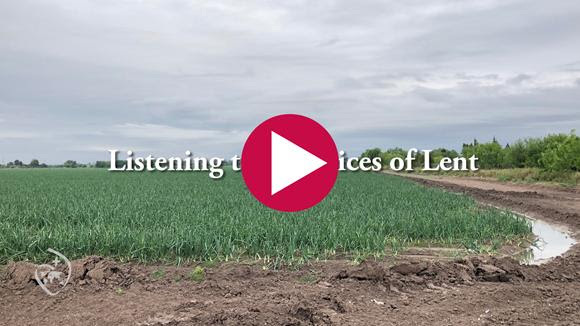 In addition to our weekly Lenten reflections, we invite you to follow a Lenten journey in the footsteps of JPIC offered by the offices of Educational Initiatives and Leadership (EIL) and Justice, Peace and Integrity of Creation (JPIC) at the Stuart Center. If you received this message from a friend and would like to receive our messages directly in the future, please sign up on our website. Has your contact information changed recently? Update your full contact information and your mailing preferences.